Sorry for the lack of articles recently. I have been building my man cave/brewery/gym as well as being generally busy. I'm a little later to the Beavertown party in Ireland. 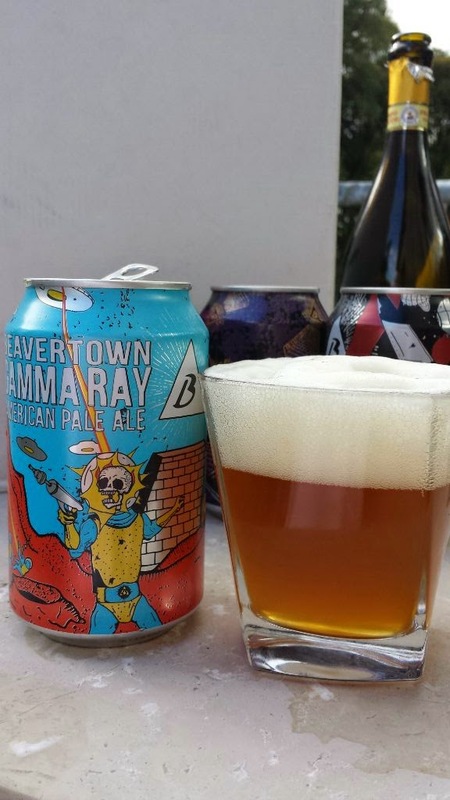 I've had Beavertown beers in the UK and indeed met the owner once if I remember correctly. That was before the re-brand though. Everything from the logo to the packaging format has changed. 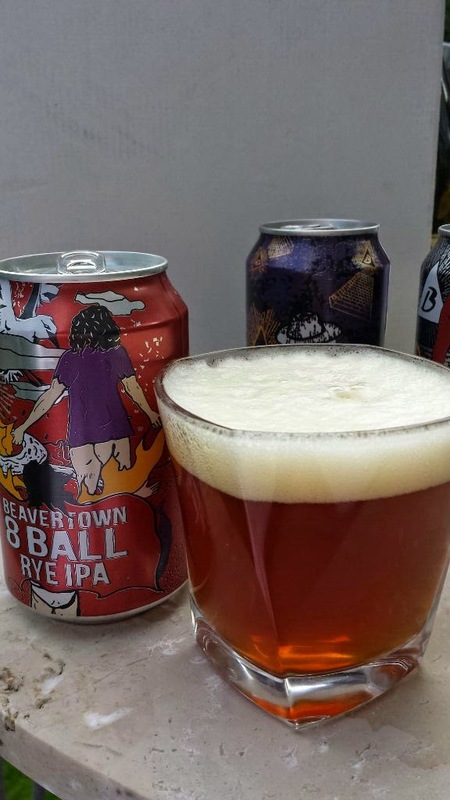 Beavertown have jumped on the can bandwagon in a big way. The can artwork is nothing short of spectacular and in many cases, quite funny. I enjoyed all of these beers on the balcony of our hotel during our 10 year anniversary at the Monart. I had to bring them with me of course. I left our beer and bubbly sitting outside in the shade where it was kept chilled at night and somewhat cool in the day. 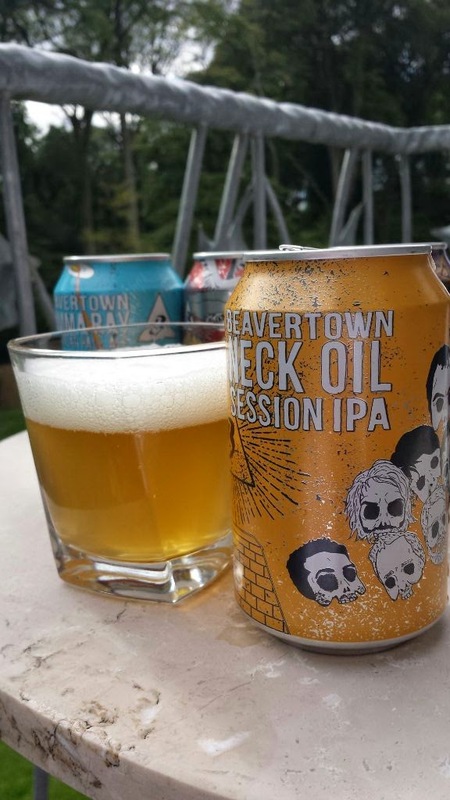 Neck Oil is a session IPA (also known as a pale ale) and is 4.3% ABV. There's lots of lemon and grapefruit with a little bitter orange pith at the end. It's a Lovely beer with a lingering bitter finish. I could drink a lot of it and that's the way it was designed. To be sessionable but packed full of flavour. Gamma Ray I found to be very similar to Neck Oil except that it was a little more bitter and a little less refreshing. This is described as an American Pale Ale and is 5.4% ABV. Personally, if I was given a choice between this and Neck Oil, I would pick Neck Oil for the drinkability factor. Otherwise, the flavours are pretty much the same. Next up was 8 Ball, a rye pale ale that's 6.2% ABV. I found this to be sweet but at the same time it was also bitter. This tends to be something that rye does to a beer. It's a little ryvita like, not all rye ales remind me of ry crispbreads but this one did. There's not much citrus going on which surprised me. There was some tobacco on the nose and I found it had a sort of sticky orange fudge finish. Quite odd and not sessionable but it is tasty indeed. I think it's one to revisit for me. I suspect there's a little more there than what I garnered in one can, especially after the first two hop bombs. Black Betty is their Black IPA offering. It's a staggering 7.4% ABV. I say staggering only because Black IPA or Cascadian dark ales, whatever you want to call them, they don't tend to go that high. That's almost double IPA territory. There was plenty of chocolate and a little coffee. It's stupidly bitter though, something I love but know many others might struggle with. There's a little ash in the middle along with a slightly wine like finish. A very good beer. And lastly, Smog Rocket. 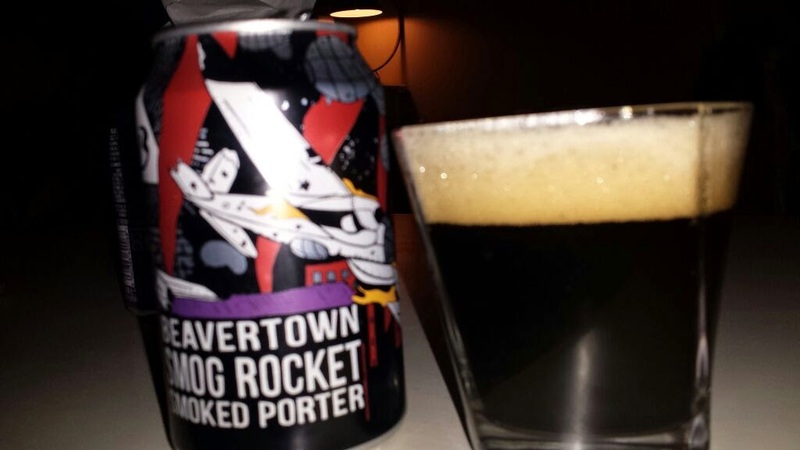 It's a smoked porter that brings the alcohol levels back down to a more sensible 5.4% ABV. After the others, this seemed a little tame but the other 4 were hop forward and this is a different kettle of fish. It's essentially a malt forward porter with plenty of smoked malt. I found it tasted a little like iodine, something you get in some heavily smoked Scotch whiskies. Even though these beers weren't chilled, by the time I had this, the ambient outside temperature had plummeted so it had chilled right down. Perhaps a little warmer next time. 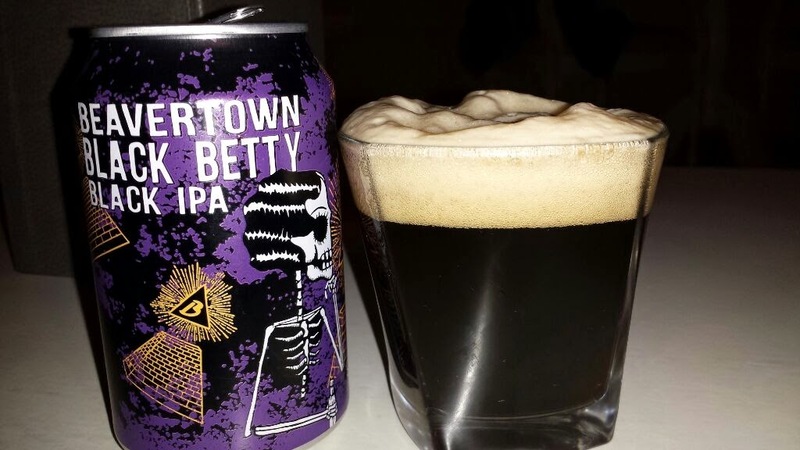 Some great beer from Beavertown and while they aren't cheap, with Black Betty costing about €4.50, they are pretty good value. They also look like one of the few beer cans I would happily keep and display on a bar.